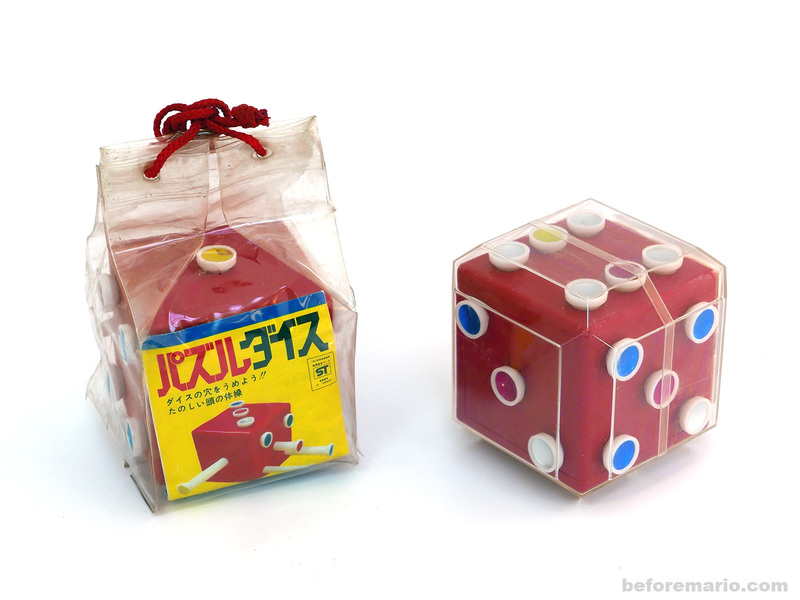 Another recent addition to my collection is this Nintendo puzzle from the early 1970s, called Puzzle Dice (パズルダイス). Like the electric Panda clock shown in the previous post, it's an item that I had not seen before. Or more precisely, it is a package variant that was unknown to me. 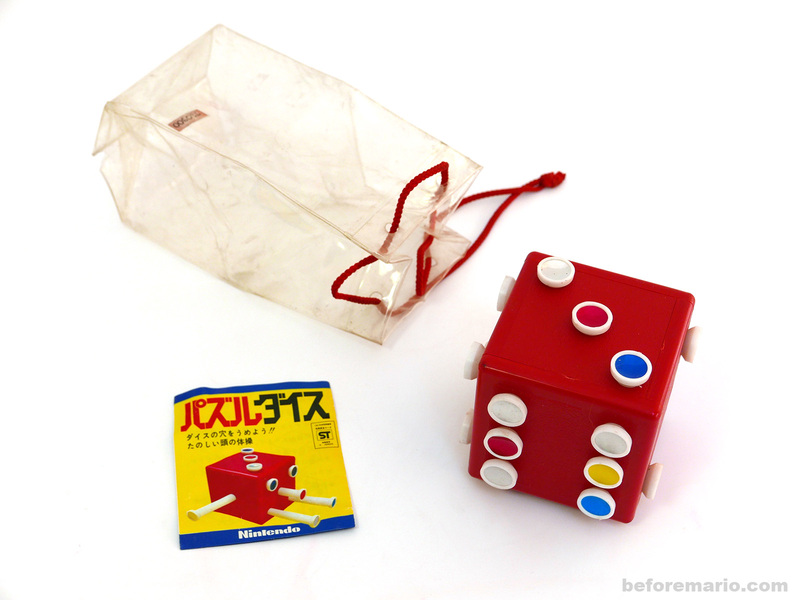 The puzzle itself is familiar, although under a different name: the original release dates from 1969 and was called Challenge Dice (チャレンジ ダイス). 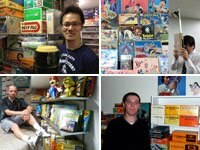 In the early 1970s Nintendo must have had surplus stock that was repackaged and renamed in an attempt to boot sales. The soft plastic bag with cord gave it a bit more modern look, though the puzzle itself was unchanged. 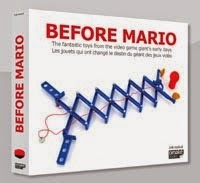 A few years later it was repackaged again in a blister pack as part of the Nintendo Mini Game series. 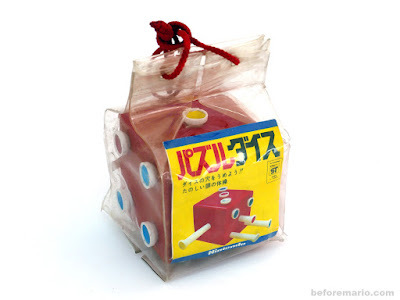 Nintendo also exported this game, under yet another name: Chaotic Cube. It is a fun 3D puzzle. You can read more about how it worked here.